It is Saint Paul, Minnesota. What kind of boats are these? 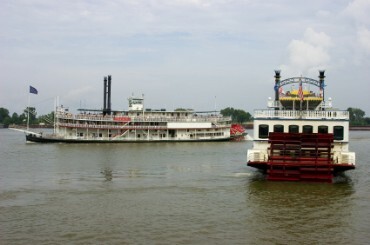 Steamboats use steam and paddle wheels to move in the water. 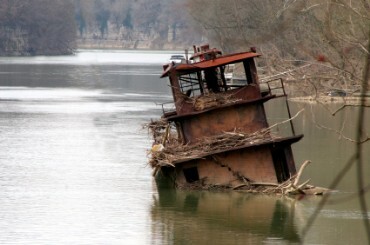 A shipwreck is a boat or ship that has been damaged or sunk. The boat in this picture is a shipwreck. Copyrights to the pictures and photos on this EL Civics website belong to individual photographers. We have purchased the rights to use them. Do not copy the images on this website. Permission is granted to copy any of the worksheets for classroom or home study. Contact Christina Niven, ESL teacher, at christina@elcivics.com. Please send corrections and requests for new ESL lessons. Copyright © Christina Niven, 2007.